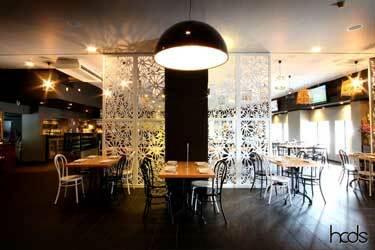 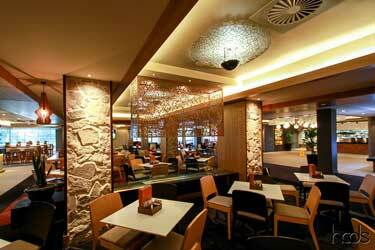 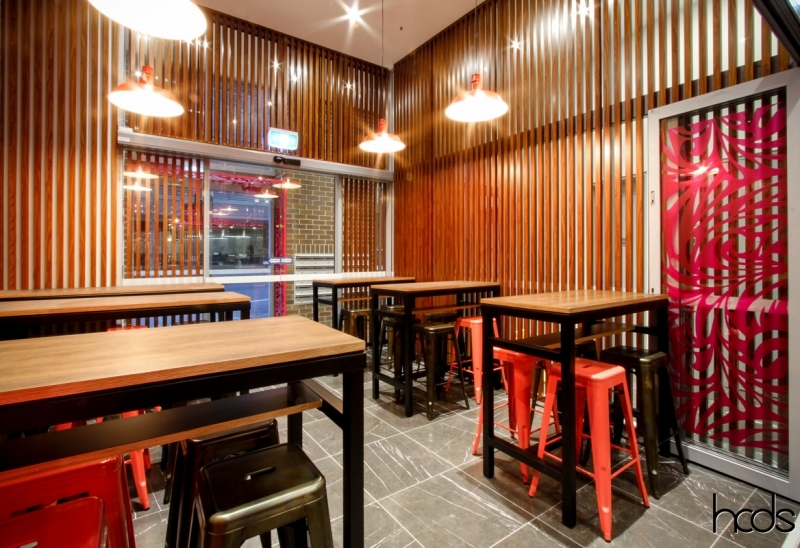 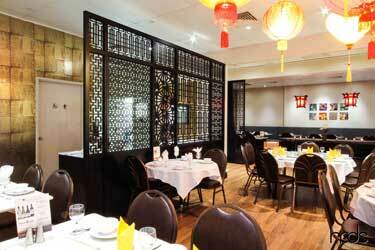 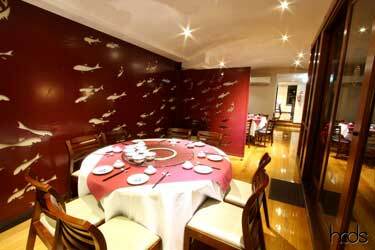 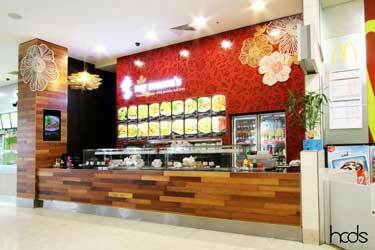 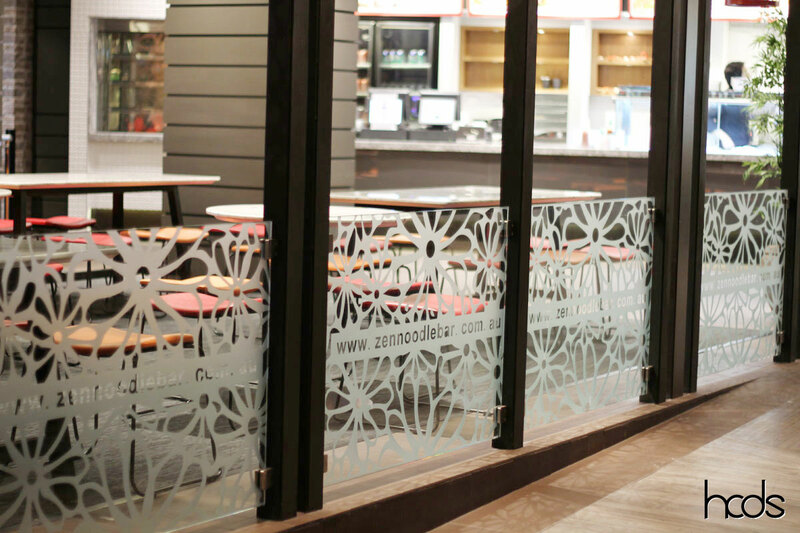 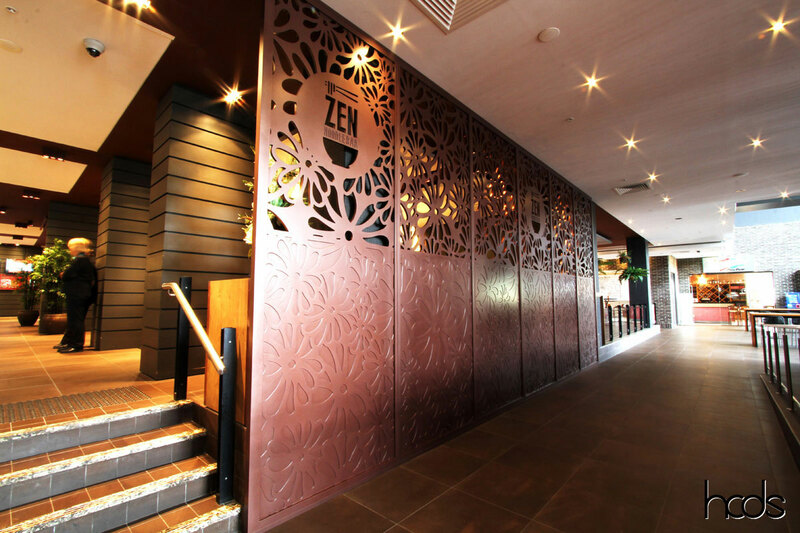 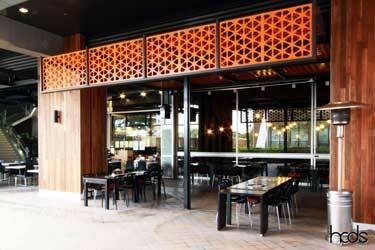 Zen Noodle Bar completes the new dining experience at Penrith Panthers. 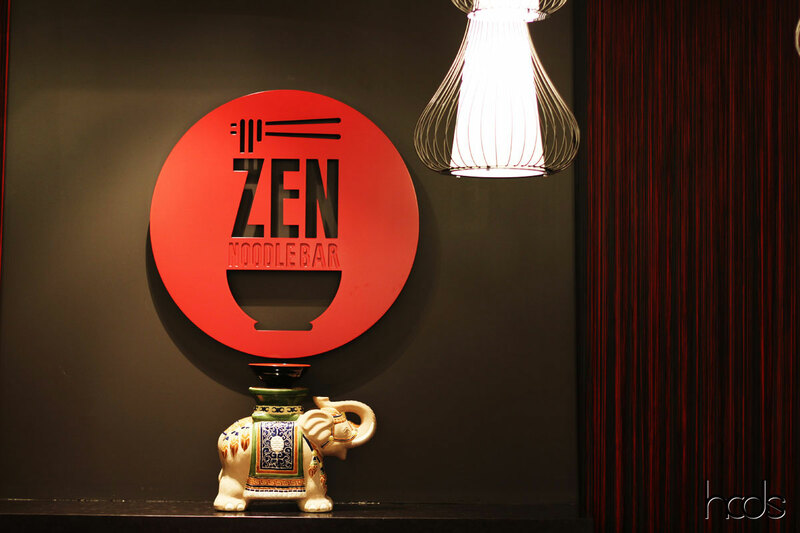 The new 400 sqm establishment is expected to become Penrith’s most successful Noodle Bar with the Panthers now attracting over 1 million people each year to the Club. 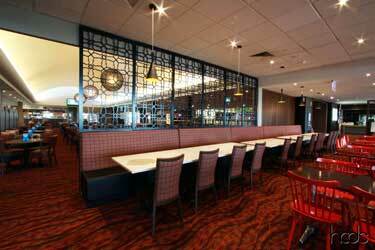 The area formerly known as the Terrace Bar has undergone extensive renovations within the club. 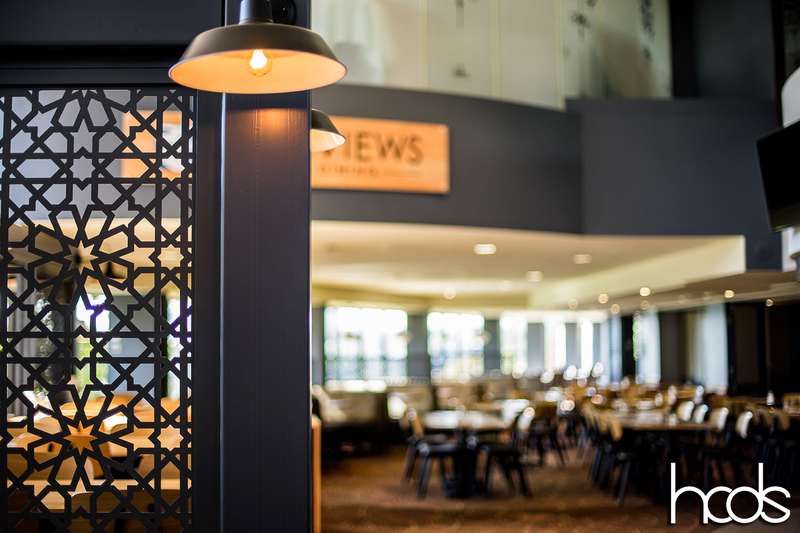 Richie and Chontelle from Channel 9 show Domestic Blitz designed the area to be ‘The Hub’ of the Club and Zen Noodle Bar now sits alongside the new James Squires Bar and Outdoor Terrace. 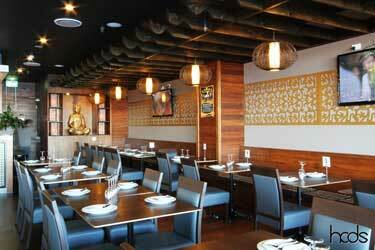 For Owner John Chu, it’s his 5th restaurant. 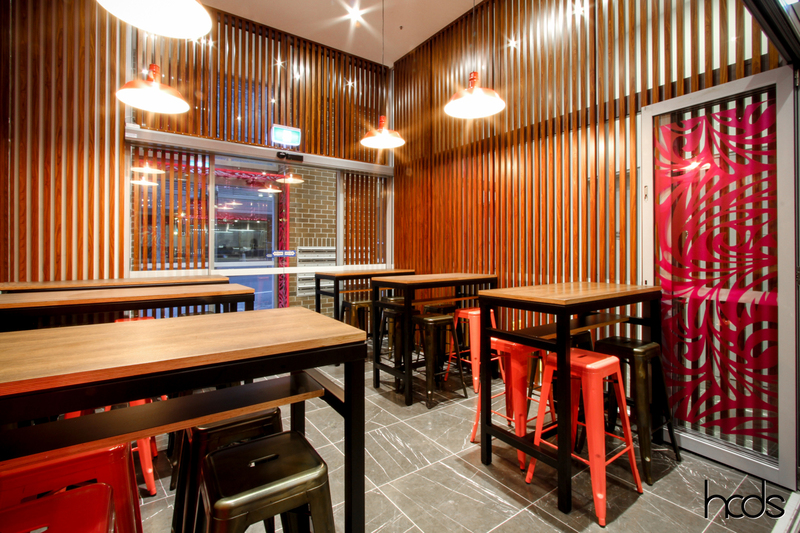 He employed HC Commercial Furniture and HCDS (both divisions of HC Group Australia) to help design and fit out the space. 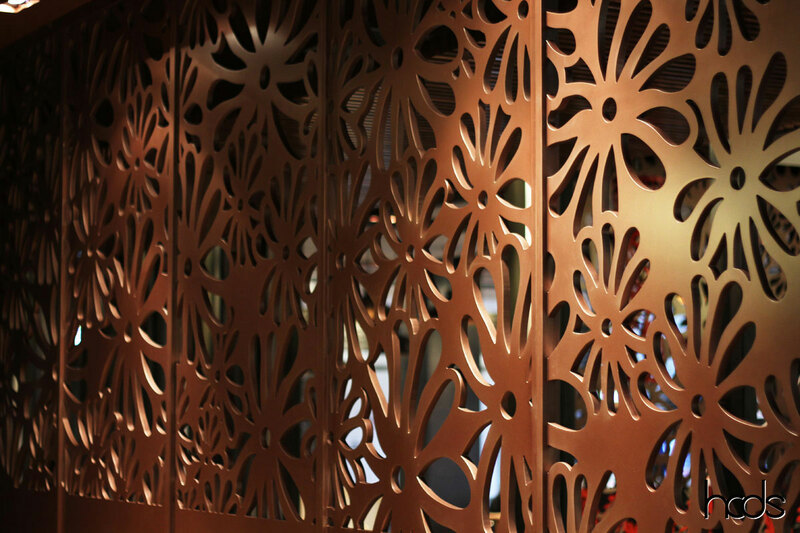 Materials used in the project included MDF screens with metallic finish. 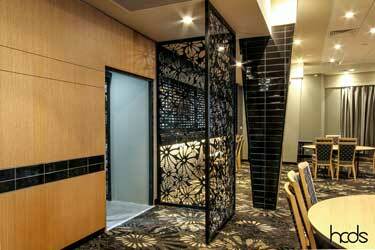 Designed with privacy in mind, each screen was a mix of half and fully routered panels. 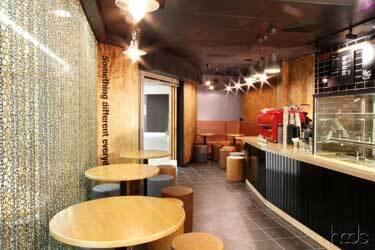 They were finished in a metallic paint to match other colours on site. 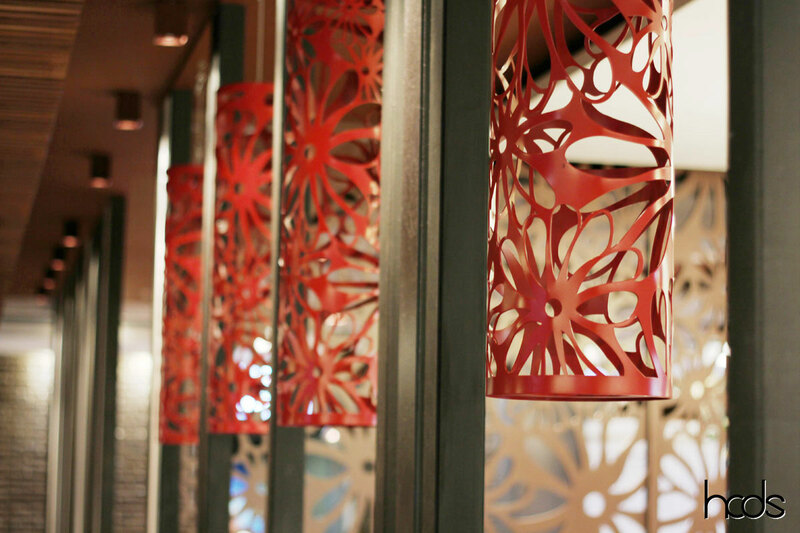 Laser cut steel light coverings, vinyl decals and custom signage continued the theme. 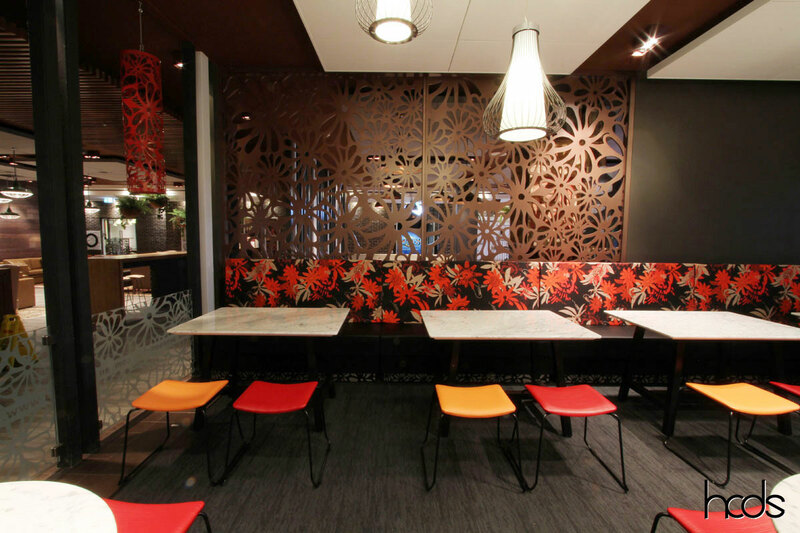 Emily Ziz Sixhands Rainforest fabric was chosen to provide colour and drama which worked alongside vibrant vinyls. 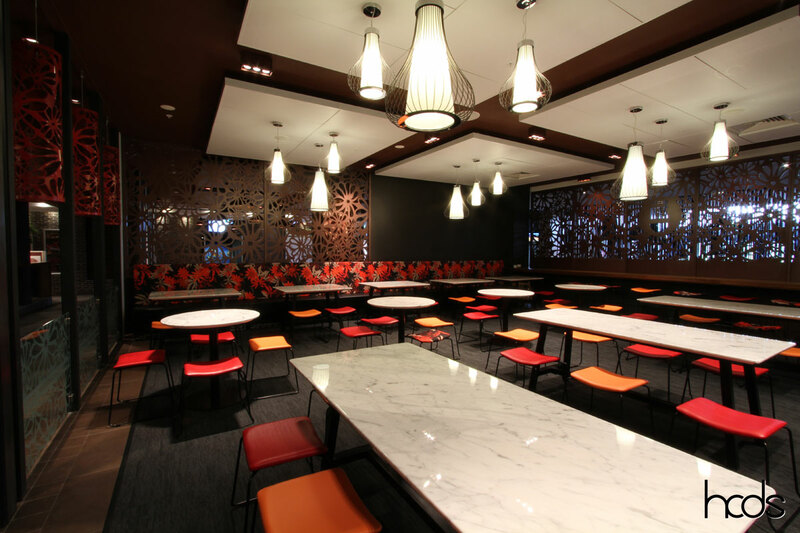 Carrara white | grey marble tables helped brighten the space and compliment the charcoal flooring. 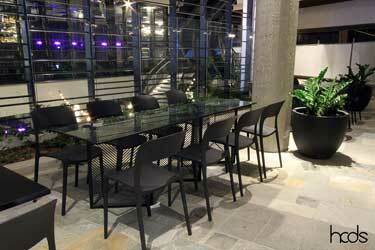 Custom steel table bases were designed to suit finished in black powdercoat to match the sled frames of the stools. 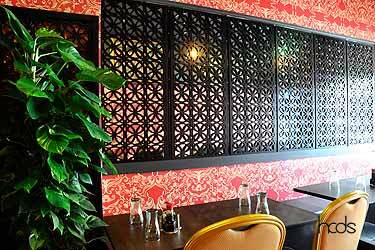 “Whilst we helped with the design, we’re not designers. 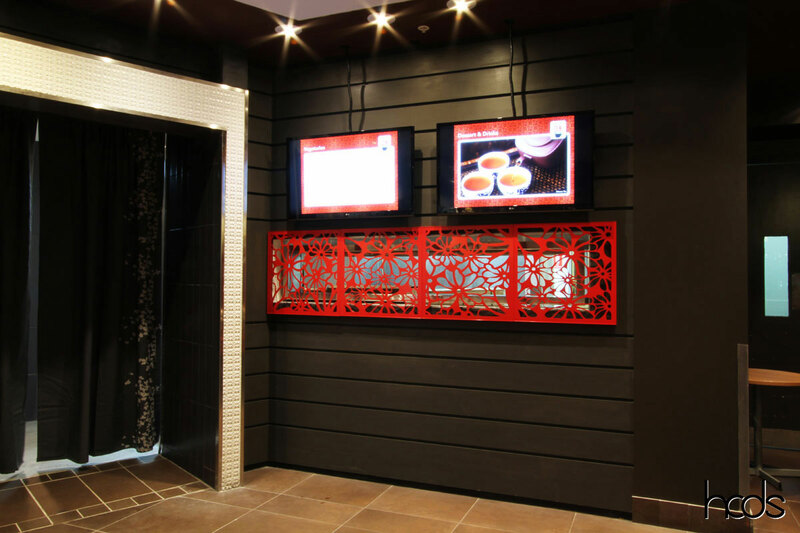 We take the client’s vision and input that vision into our software. 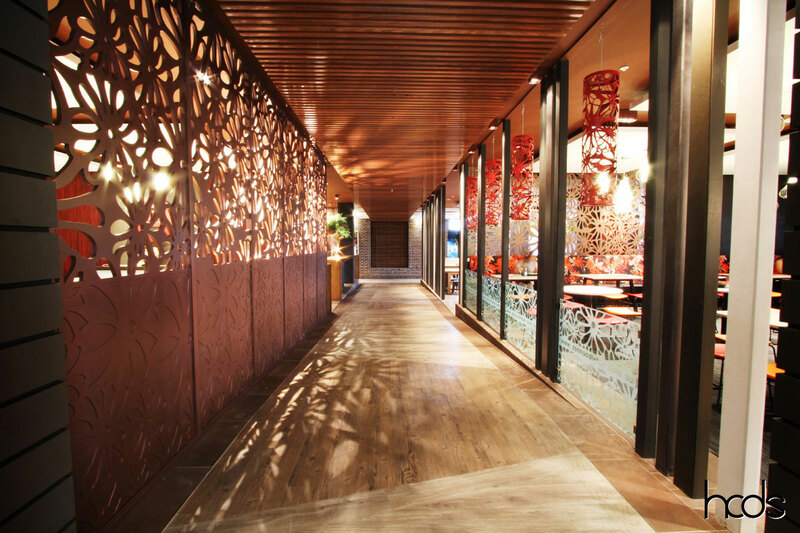 We start with spacial awareness and the floorplan, mapping out table arrangements allowing for the desired number of patrons and ensuring the space is functional. 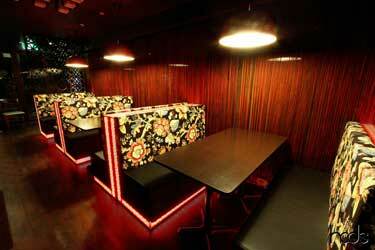 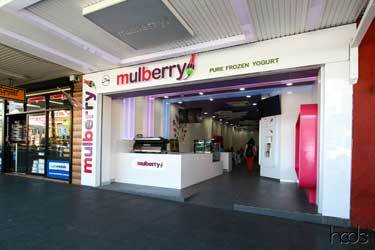 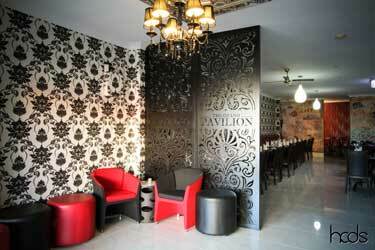 We then move onto designing the screens, wall paneling and signage, then booth seating and loose furniture. 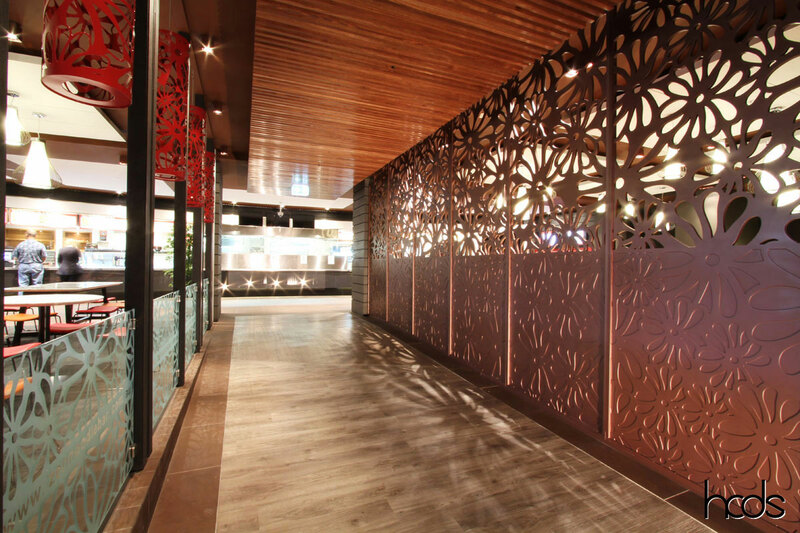 Working through colours, materials and textiles is all part of the process. 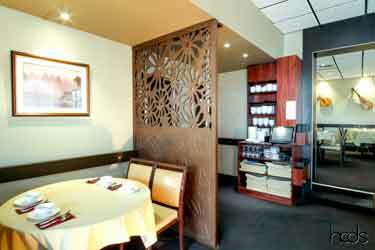 Everything is costed during the meeting so the client is in full control of their budget at all times. 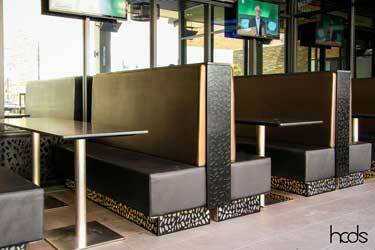 Only products that meet the timeframe are chosen. 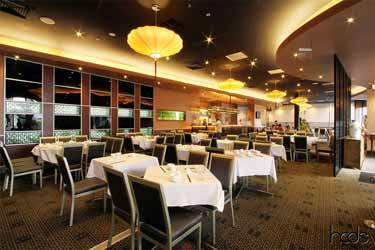 The client now has a very accurate picture of what their establishment is going to look like. 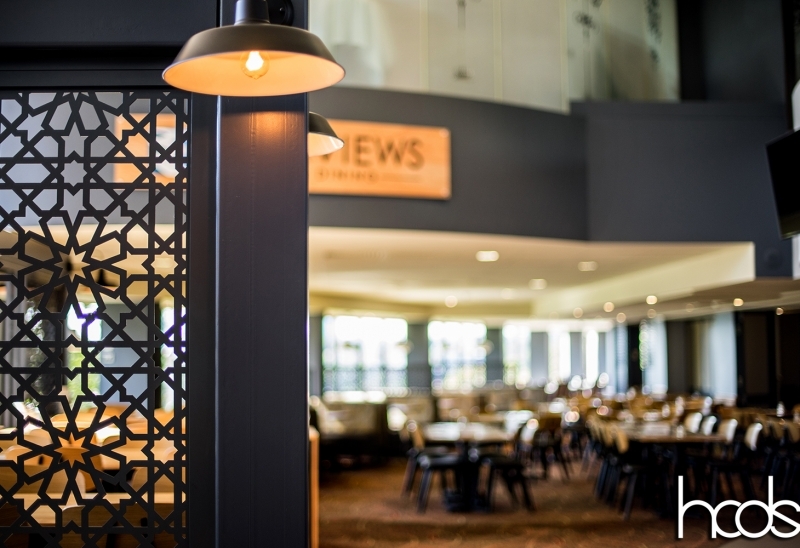 They’ve had direct input and ownership from the beginning and it’s a rewarding experience for them when they see their ideas turned into reality once everything’s installed”. 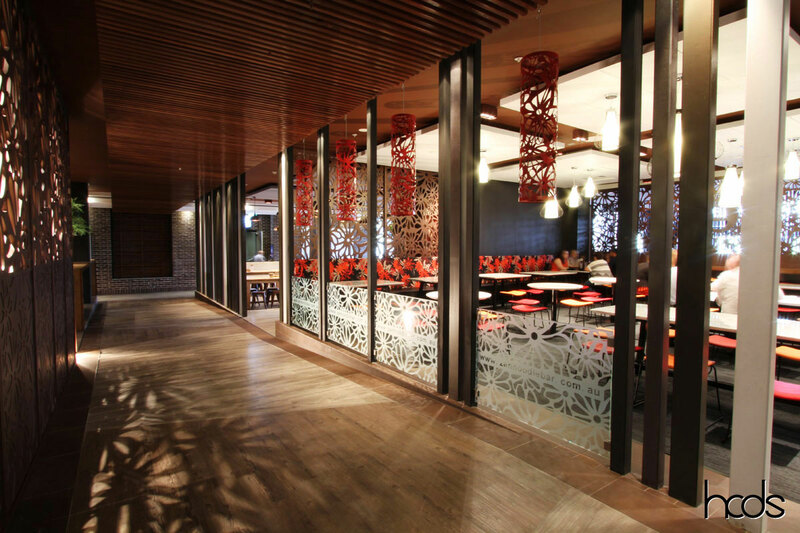 Russell Wing, General Manager of HC Group, adds: “Every project comes with three challenges – Design, Budget and Lead time and very few get all three right first time. 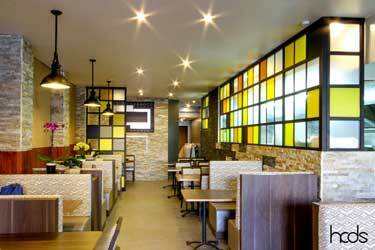 For example, if you can’t compromise on Budget or Design, then you may have to wait longer for your goods. 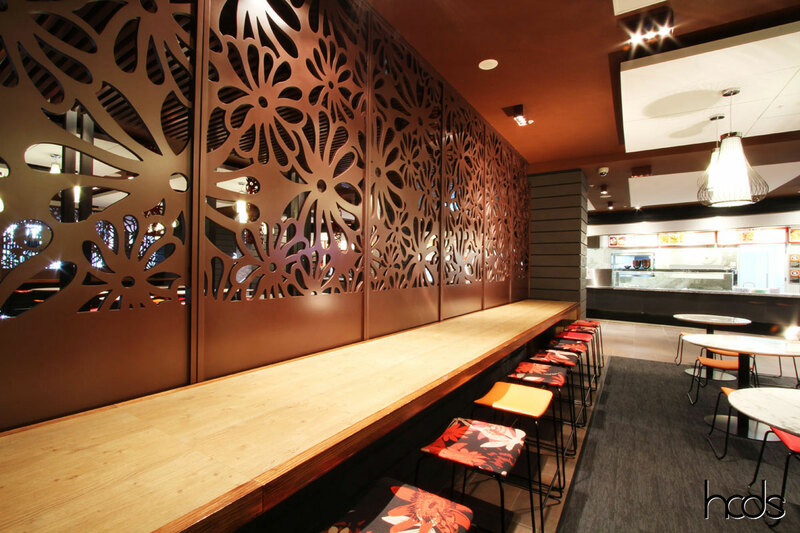 Or if you can’t compromise on lead time, you may have to change your product choice to something more readily available.